Developing for an embedded environment can often leave you juggling for space. Squish Coco is designed with such constraints in mind, making instrumentation and code coverage possible even on embedded environments. 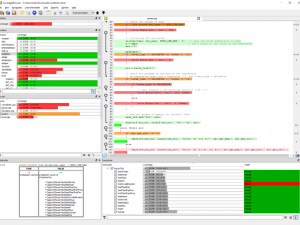 Squish Coco separates the coverage data creation from the analysis, enabling users performing cross-compilation to host the compiler on a separate platform. The execution data is gathered on the target platform, while the analysis occurs on the desktop platform and can be viewed using the CoverageBrowser. The detection of sequential blocks creates a more compact instrumentation than the traditional line coverage approach. Additional size reductions are implemented using command-line parameters to disable the condition, decision and statement coverage analysis. Because Squish Coco instruments the source code utilizing the user’s toolchain, both debug and release, or optimized code can be used. The only requirement for the target system is the malloc() function. Filesystems and Ethernet devices are not necessary. This article demonstrates how to instrument a small ARM application that reads data from an AD device on a simulator. To setup the playground you’ll need the ARM Keil μVision toolchain and Squish Coco v3.0.1 Beta. The new Squish Coco release already includes the Blinky example. 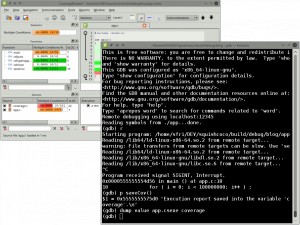 Squish Coco provides compiler and linker wrappers which replace the ARM command-line tools. It behaves identical to the original toolchain except when activated with the command-line switch --cs-on. Select Folders/Extensions, click the ARMCC Folder: box, and replace .ARMCCbin with .SquishCocobin. 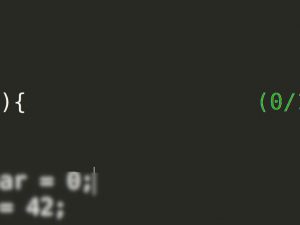 Click the Misc Controls box and enter <strong–cs-on. Click the Misc Controls box and enter –cs-on. For desktop applications, the default instrumentation behavior is to save an execution report to a file when the application closes. This does not apply to embedded devices because most embedded applications never close and also lack a file system. This is why it’s necessary necessary to define how and when the execution reports are generated. The __COVERAGESCANNER__ definition is automatically defined in instrumented code. The execution report saves using __coveragescanner_save(), while the __coveragescanner_clear() resets all execution counters paving the way for a clean report in the future. The function __coveragescanner_set_custom_io() setups up the communication link used to transmit the coverage information. Typically three functions are required (fopen(), fputs() and fclose()) allowing an UART or CAN identifier to upload the data. The use of more sophisticated protocols, such as SFTP for networking devices, is also available. Start the simulation and wait approximately thirty seconds for it to complete. A message displays in the debug output window upon completion, at which time the simulation can be stopped. The executed and un-executed Blinky example code display.